Last November, citizens in California voted to legalize recreational marijuana, making the golden state the 5th state to officially legalize the drug. California was the first state to legalize medical cannabis in 1996, and many think the legalization of recreational marijuana by California will cause other states to follow suit. 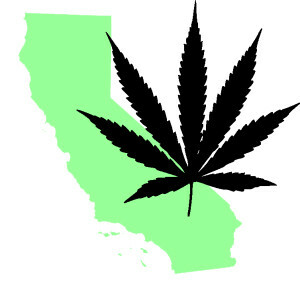 California is the most populous state and could potentially have the largest legal marijuana market ever. The law will go into effect January 1st, 2018 and cities like LA and San Diego have hopefuls preparing to open up shops, but not without a host of issues that come along with new legislation. With the largest marijuana market, comes a whole lot of red tape and laws and regulations that need to be followed in order to have a successful operation. Including the fact that marijuana is still illegal at the federal level. California wants to cover all their bases in regards to regulating the entire process- from seed to plant to shop. But, they are scrambling to make sure that all the procedures and paperwork are in place before the January 1st deadline. California plans to streamline the regulations on the medical marijuana and recreational marijuana markets which means both adding onto existing regulations and creating new regulations to govern both markets the same way. The rules for shop owners are simple enough: you need a license from the state, selling hours apply, proper security measures must be in place, and the shop needs to properly keep their records. California is currently giving out temporary licenses. The state wants prospective shop owners to apply for the licenses now in order to make sure that come January 1st, they can start approving them to get the ball rolling and start selling. But, the proposed regulations haven’t been been approved yet and there’s less than 2 months to go. The biggest challenge for California’s legal marijuana market may be the stiff competition that comes from the black market dealers. California already has a well established black market for marijuana. This means that the legal markets will have tough competition from low level street sellers and those who have already established a customer base. Opening a shop will cost you; just applying for a license in Illinois is around $60,000. This most likely means that the people selling on the black market, probably won’t be applying for a license to open a dispensary and will continue to sell the way they are. It doesn’t help that California plans to implement a tax rate of up to 45% on recreational marijuana. This will make the legal weed more expensive than the illegal stuff and business would be drawn away from the dispensaries. According to LA daily news, a bag of marijuana that costs $35 could now cost anywhere from $50-$60 with taxes. The growers will also be taxed at $44 a pound for what they sell. The state also has to worry about keeping up with supply and demand. Marijuana will be a hot commodity once the markets open and this means that the state has to make sure that enough legal marijuana will be available to those who want to purchase it. But, they can’t start selling until the regulations are in place and licenses are issued, which means California won’t make any money until then. A shortage of legal marijuana, like the one Nevada experienced this summer, could allow the illegal market to flourish once again. But with the legalization comes other issues like public smoking and keeping people from driving under the influence. California says that they plan on doing testing to find out the legal limit for marijuana use and driving impairment as well as protocols for testing the blood of drivers that are suspected of driving while high. Marijuana will be treated in a similar way to alcohol; drivers can still carry marijuana in their car as long as the bag is sealed and the amount is under weight restrictions. Smoking in public will carry a $100 fine and is not allowed within 1,000 feet of schools or playgrounds or within 250 feet of an entrance (Mercury News). Even with all the complications the legalization is set to bring up to $50 million in tax revenue for Los Angeles alone and $658 million across the state in the first year. It’s no wonder that Illinois wants to solve the current debt struggle the same way. California has long been a pioneer for marijuana reform. Which, could mean that within the next few years we could see many states follow in the same footsteps and legalize recreational marijuana. Illinois lawmakers plan on bringing recreational marijuana to a vote in congress in 2018. Here at Lauralaw, we will stay up to date on any current marijuana law passages so make sure to stay tuned to our blog.